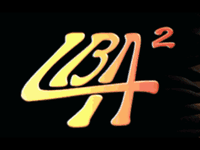 "Little Big Adventure 2 (LBA 2) is a computer game made by the core team who created the first Alone in the Dark. After Twinsen defeated FunFrock at the end of Little Big Adventure, Twinsun was peaceful... until a sudden storm covers Citadel Island. The first task of Twinsen is to help Bersimon, the Weather Wizard, dissolve the clouds and end the storm. After the storm, alien creatures, who called themselves Esmers, land on the planet. The Esmers show their true colours by capturing Citadel Island's children and wizards of Twinsun, and taking over the planet. Twinsen and Jerome Baldino travel to Zeelich, the Esmers' planet, in order to stop Esmers. Here, Twinsen is to confront the Esmer Empire which controls Zeelich, ruled by the Emperor, who is preaching the word of the planet's god, Dark Monk." Source: Wikipedia, "Little_Big_Adventure_2," available under the CC-BY-SA License.